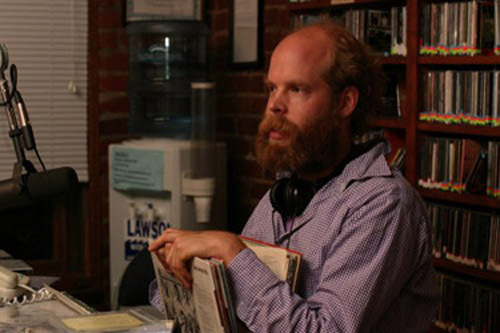 Drunkard favorite Will Oldham has been tinkering around the lo-fi and alt-country scenes for the better part of two decades. Still, you almost forget his vast contributions given his multiple incarnations (Bonnie Billy, Palace Music, Palace Brothers, Palace Songs) and roving collaborations (Jason Molina, Tortoise, to name a few). But to call his musical harvest prolific would be an understatement. In the Southern folk tradition, his songs are tales–often haunted, often not–of tested souls, questioned hearts and a longing for nothing in particular and everything at once. His elastic voice bounces through the peaks and valleys of his lyrics like a flicked rubber band, and his fables hint of the oral custom of years gone by, where life lessons were taught in anecdotes and history rested between the ears and not in the pages of books. Personally, Joya is as good as anything he’s put out. Will Oldham as (surprisingly) Will Oldham dishes out 12 great tracks on the 1997 LP, along with the three-song companion Little Joya. Here are a few for you. I recommend Be Still and Know God (Don’t Be Shy). Listen when he says, ‘help me find what it is to be.’ Heavy stuff. + Download your digital music DRM free through eMusic’s 25 Free MP3 offer. Heavy stuff, indeed. Peaks and valleys is right. Cool beard on that guy. Nice post. I’ll drink to that. Superwolf has gotta be in my top ten for the 2000’s. And I See a Darness pretty well covers the previous decade. Y2, great choice. Love this one. Greetings from clarksdale, ms.
Oldham as Oldham? Times are not changing, they are returning. In this age of terrible music and the RIAA, at least something worthwhile is being produced. I’m going to have a listen this weekend. Hope to find it on vinyl.